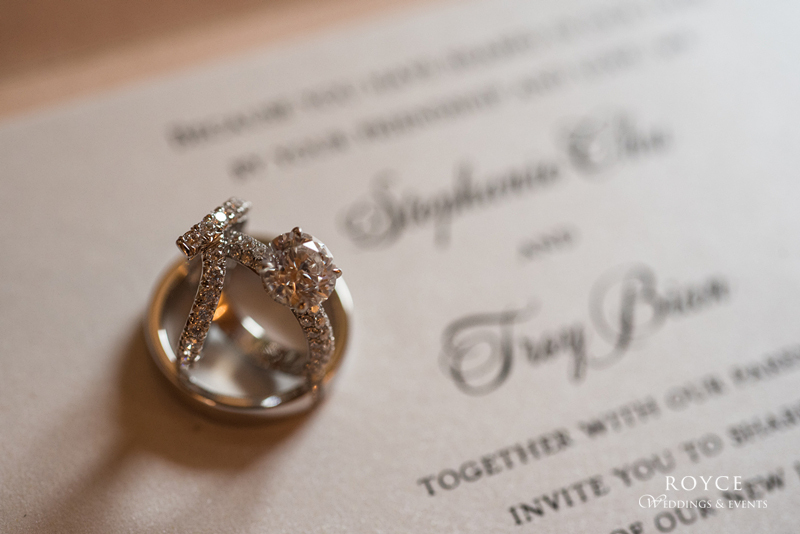 Stephanie & Troy’s Pelican Hill soiree is full-on California glam and we are in love. Designed and planned by Royce Weddings & Events, their ceremony and stunning reception incorporated gold, blush, and ivory with touches of rustic glamour. Their pillowy-soft arrangements which set the theme for their tables-cape. A mix of low florals with accents of mercury candle holder brought drama to the ballroom. We are dazzled by each and every detail—especially bride’s stunning gown in the beautiful images by Chris Seid Photography!